Brewing Blue Tokai. - BREVILOQUENT. I'll have coffee, and you? A lot of us despite of being in a 'chai trapped' zone are heard saying the same. The smell of freshly roasted beans, or for that fact a cup of hot coffee is enough to begin the day with satisfaction. 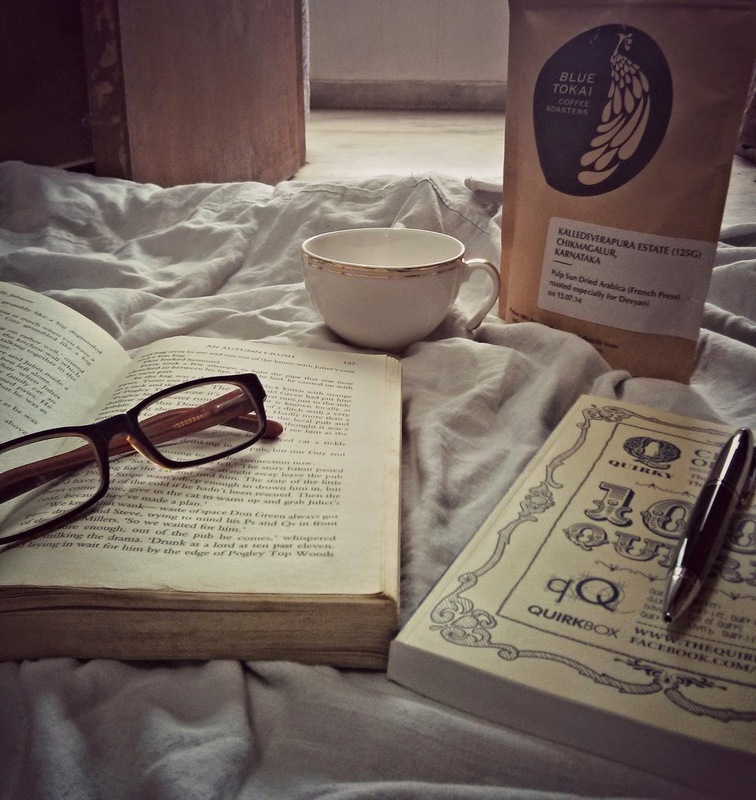 As an ardent coffee person, i usually begin my day with a cup of coffee and the day looks sorted. On being asked once, what drives me. I said 'coffee and cake' with a serious face. And sure it does. 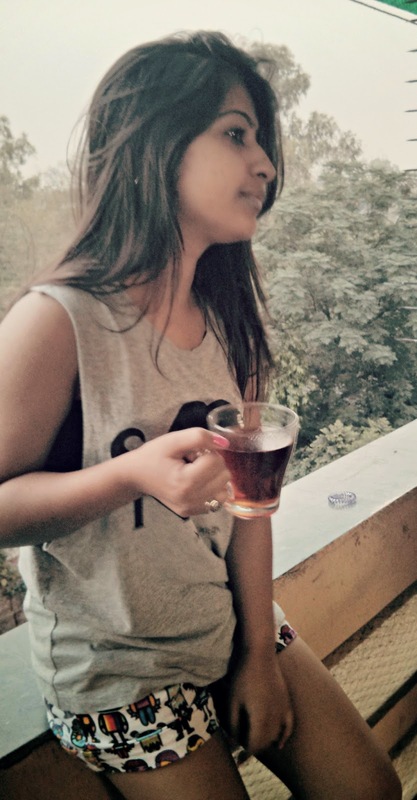 Downing coffee one mug at a time brings a certain high, which only coffee lovers would know. 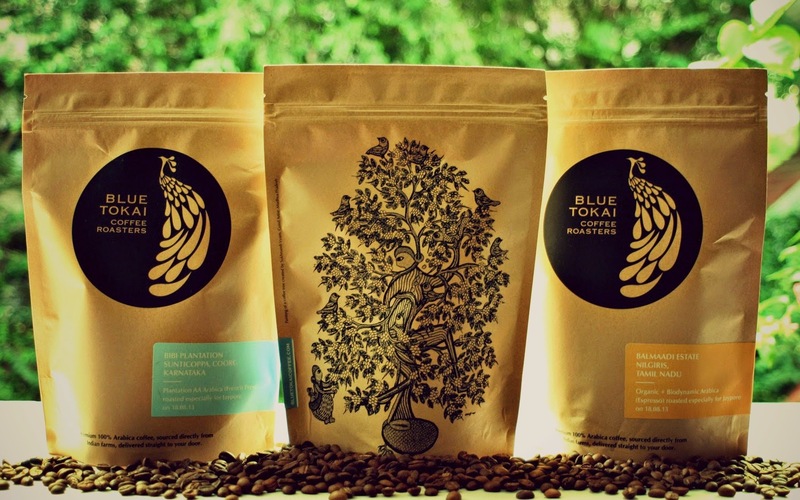 Blue Tokai Coffee promotes Indian coffee by roasting and grinding (or not, depending on the customer’s preference) single estate beans and getting them in the cups of their customers when at their peak flavor. I was asked my preference and accordingly my order was sent. M.S Estate's special Vienna Roast has amazing body with very low acidity and faint fruity overtones. Oaky and slightly bitter, this option is definitely for you if you like dark roasts. The one thing that really impressed me was the packaging. Each zip tight packaging is personalized with the buyer's name and the coffee you ordered which makes the entire experience even more beautiful. The coffee is decently priced and reaches at your doorstep with utmost love. I took almost 3 weeks to slowly and steadily review it to convince myself of this new experience. I could tell you more over a cup of Blue Tokai coffee, but i'd rather you experience yours and judge for yourself. Please do. I'm sure you'll enjoy it as much as i do.